Cryptocurrencies have fallen sharply. So have tech stocks and oil. Is it coincidence or a re-emergence of the so-called death cross? So, when a speculative investment plunges in value, where does the money go? 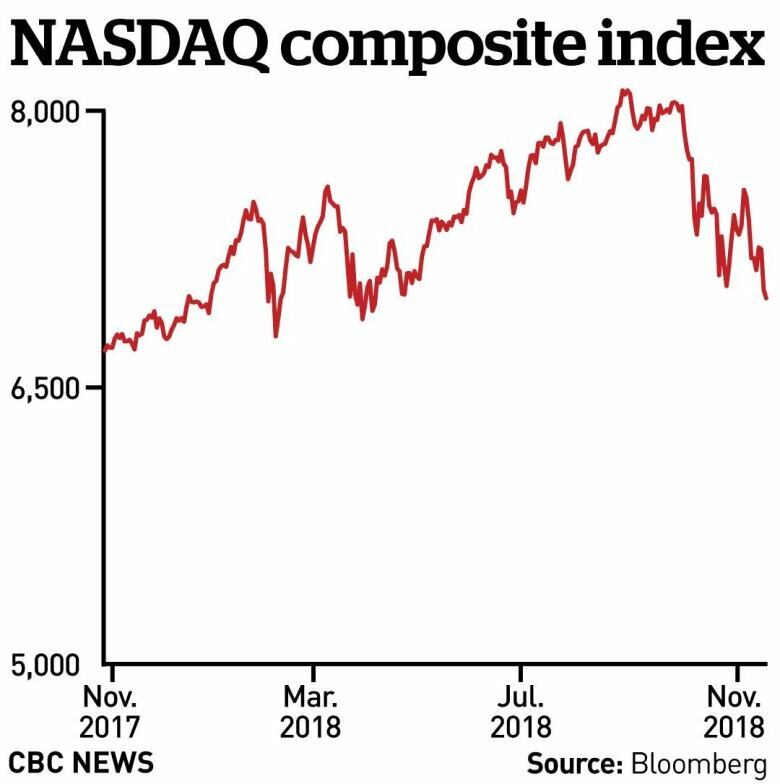 As bitcoin crashes to year-long lows, as tech stocks give up their entire 2018 gains and as global oil prices tumble to a level not seen since October 2017, it is common to hear investing being compared to playing roulette. Sometimes, it's harder making the comparison when asset prices are on the way up. But that's what Bank of Canada governor Stephen Poloz did just as bitcoin was reaching a peak over $18,000 US. "There is no intrinsic value for something like bitcoin, so it's not really an asset one can analyze," Canada's chief central banker said almost a year ago. "It's just essentially speculative or gambling." "You're better off in Vegas; the food is better," joked cryptocurrency critic Jeffrey Robinson in his own attack on cryptos, which he insisted were neither investments nor currencies. 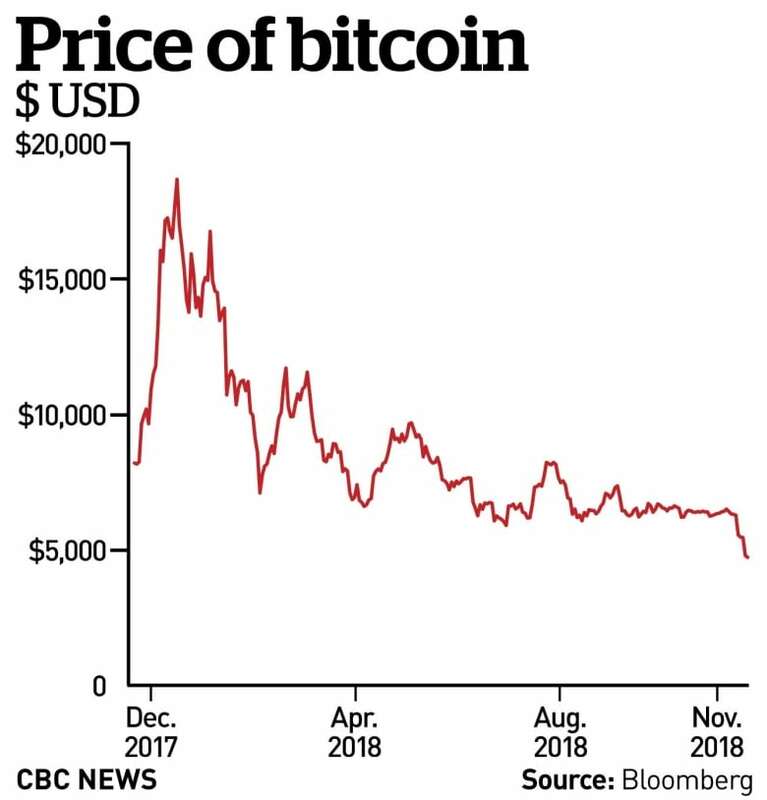 This week, people who once turned their Canadian dollars into bitcoin may be wishing they had listened to Poloz and Robinson as the digital token plunged again to below $5,000 US. It may not be hard to see money paid for bitcoin, a relatively recent invention conjured out of ones and zeros, going back to the thin air from whence it came. Digital currencies are relatively easy to write off as a foolish gamble. But in an era of casino capitalism, the fact is that losing money in Vegas may actually be better for the economy than losing on speculative investments of any kind, whether crypto, stocks or oil. After peaking in late 2017, the price of bitcoin has fallen precipitously since. At least the money you lose at the card table or roulette wheel flows out of your pockets straight into someone else's. In casino capitalism, especially when asset values go through a synchronized decline, money can simply disappear from the economy altogether — not to return until some future day when those asset prices rise again. Speaking on U.S. business network CNBC, Robinson, author of BitCon: The Naked Truth About Bitcoin warned that anyone interested in bitcoin should Google the greater fool theory, "because that's what they are all about." Greater fool theory is the concept that it may very well be wise to buy an asset that you know is foolishly overvalued, so long as you are confident you can sell it on at a higher price to a greater fool. But that only works if you find that greater fool before asset prices decline. The hard fact is that assets with intrinsic value are also subject to the theory, something that occurred to me in a much earlier bitcoin era in 2013 when both gold and bitcoin were falling at around the same time. Just how long ago that is in bitcoin valuation terms can be seen from the fact that it had just "plummeted to about $50 after hitting a Wednesday high of about $260." My conclusion in that case was not exactly original in that there is an ancient maxim in Roman law that says "Res tantum valet quantum vendi potest" which translates as "a good's only value is the amount you can sell it for." Looked at individually, there are rational reasons why someone might want to pay less for bitcoin, stocks and oil. Bitcoin is being investigated for price rigging. In the case of stocks, flat demand for Apple products and some bad financial results from retailers are offered as a reason for the decline. In the case of oil, high inventories are among the factors getting the blame for prices falling to their lowest levels in a year. 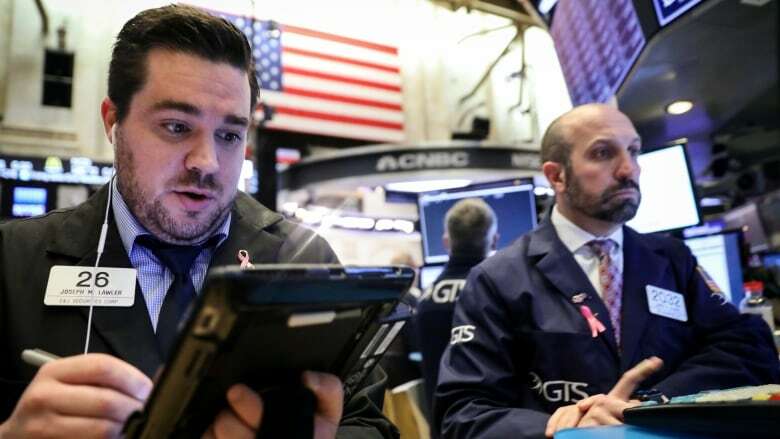 But the fact that they are all happening at the same time may be a sign of something else — a general and synchronized gloom about assets that is the flip side to the recent excess of euphoria. Like the slap of a beaver tail, a warning in one market sector can act as signal to traders in other parts of the pond. And despite repeated reminders that the market and the economy are two different things, a widespread loss of asset value from the economy can have an economic impact. The bitcoin chart "looks like the left-hand side of the Eiffel Tower, doesn't it?" said Poloz a year ago, allowing us to imagine the other side of the tower. Depending on how you construct your graph, you could have found similar Eiffel towers in various other stocks and markets. 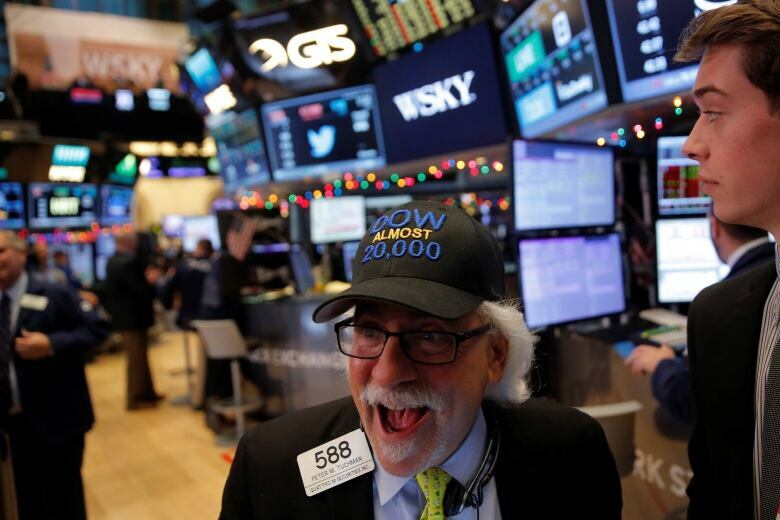 Think back to the happy man with the goatee and the hat who celebrated the Dow Jones Industrial Average climbing to 20,000 and through to 25,000 in the months after Donald Trump was elected president. Now, various market analysts are beginning to talk about a supposed market phenomenon that sounds like a curse from the Harry Potter books. It's called the "death cross," which a quick internet search shows is currently being applied to oil, technology stocks and bitcoin. "The death cross appears on a chart when a stock's short-term moving average crosses below its long-term moving average," says the investment education website Investopedia. While the death cross has appeared before nasty bear markets, including in 1929, 1974 and 2008, it is unreliable, having also appeared at other times when markets actually recovered. "For smaller corrections of less than 20 per cent," says Investopedia, "the temporary appearance of the death cross may be reflecting losses already booked, and thus indicates a buying opportunity."